Do you want to add fun photo stickers on your photos? If yes, this article can help you to find the best fun photo stickers apps for iPhone and iPad that come with lots of useful & funny stickers. We've listed here some very useful photo sticker apps that come with lots of features including funny #emojis which can be used to make funny photos on your iPhone or iPad. Let's see the list of useful fun image stickers apps. 1. PicTouch - Image Editor , Stickers & Collage Upto 28 Photos ( #iPhone & iPad ) - PicTouch is a great photo editor that comes with lots of useful features and many funny stickers. With the help of this app, you can easily make funny photos by adding different types of stickers on your photos. The app comes with tons of amazing stickers such as sun glasses, hairstyles , beard, stylish hats, clothes, emoticons, horrible teeth, masks, dozens of emoticons and some nature related stickers. One of of the best photo sticker apps on the Appstore that has lots of photo editing features such as photo effects, stylish photo filters, image resizing tools, photo cropping option, color adjustment option , freeform collage maker and more. If you want to change your look completely, try PicTouch sticker tool which lets you try different types of dresses, hairstyles, beard, eye glasses, hats & emoticons. 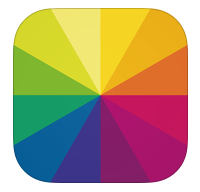 A complete photo editing app for iPhone & iPad. One of the best photo sticker apps for iPhone users. This app also includes a powerful quick photo collage maker tool that lets you create beautiful photo collage with upto 28 photos in a single frame. 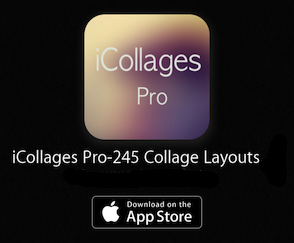 you can also apply different types of collage backgrounds, edit your photos and apply photo frames. Recommended app for iPhone users. 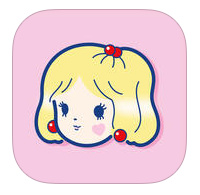 Here is the video of PicTouch ( Formerly PicZone) photo editor. Must check the video to know its features. 2. Photo Sticker Pro: Fun Sticker ( iPhone ) - One of the best sticker apps for iPhone users and it comes with lots of realistic stickers which can be used to change your photograph totally as you can see in the app icon. The app includes different types of fun photo stickers. 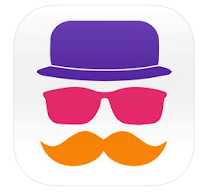 This app contains realistic clothes, moustaches, beard, hair wigs, stylish eye glasses, human body parts, prank stickers, stylish hats and lots of emojis to express your feelings through your photographs. With the help of photo sticker pro app, you can easily turn your photos into a funny photo or you can also generate a different photo by using different style of moustaches, eye glasses and clothes. 3. PicPro+ Retouch, Filters, Effects & Stickers ( For iPhone & iPad ) - PicPro+ photo editor is a very useful image editing app for iPhone and iPad that comes with tons of realistic funny stickers which can be used to make funny photos or make your photos more attractive. This app comes with many image editing tools such as photo effects, filters, colour adjustment tools, photo resizing option, frames etc. One of the best fun photo sticker apps for iPhone users . You can share your edited photos to your favourite social networks including Instagram & WhatsApp. PicPro+ comes with more than 125 stickers, 10+ photo filters, stylish effects, photo cropping tool, drawing tool, text caption tool and many other options. If you want to make your photos more attractive or funny by adding different types of stickers, you must try this app. This app includes different types of stickers such as moustaches - beard, hairstyles, eye glasses, stylish hats and more. 4. PicLab Photo Editor & Collage Maker ( For iPhone & iPad ) - PicLab is a useful sticker app that lets you add different types of effects to your photos. The app contains amazing effects of stickers, artworks & overlay. Very useful app that lets you add amazing visual effects on your photographs and also helps you add professional touch to your photos. Great app for adding photo stickers on your images. One of the best fun photo sticker apps for iPhone & iPad. 5. Fotor Photo Editor ( Only For iPhone ) - Fotor is one of the best photo sticker apps on the Appstore and it comes with many photo editing features including lots of fun stickers. Great image editing app that lets you add amazing stickers on your photos and helps you make your photos more attractive. Fotor Photo Editor contains lots of features such as lots of powerful camera options, photo effects, 13 types of scene options, more than 100 filters and effects, photo frames and many other features. Great app that contains with many photo stickers. 6. 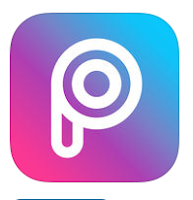 PicArt Studio ( iPhone & iPad ) - PicArt Studio is a complete photo editing apps for iOS users and it comes with full of image editing tools including hundreds of stickers. The app helps you edit , enhance and completely change photographs. With the help of this cool app, you can easily turn your simple photos into attractive photos like professionals. PicArt Studio comes with tons of features such as photo collage maker, 1000s of clip arts, stickers and emojis, photo filters, photo cropper, Prisma style effects and many other features. Recommended app for every iPhone users. One of the best photo sticker apps for iPhone users and it has thousands of cliparts and stickers. 7. Collage&Stickers papelook ( Only For iPhone ) - Collage&Stickers Papelook is a useful free photo collage maker app that comes with more than 300 stickers. If you are looking for a photo sticker app for your iPhone for free, this app would be useful for your device that includes collage making feature and lots of photo stickers. One of the best free photo sticker apps for iPhone. 8. 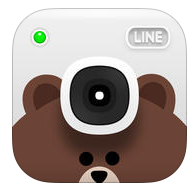 LINE Camera ( iPhone & iPad ) - Great free photo app that comes with lots of stylish photo effects and cool stickers. With the help of Line Camera, you can easily make your photos more stylish by adding cool effects and photo stickers. 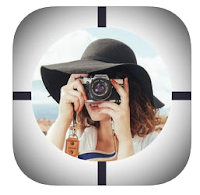 The app comes many useful photo editing options such as photo collage maker, animated sticker with sounds, photo stamp, photo filter, video recorder with cool stickers and many other function which can be used to make your photos more attractive. One of the best fun sticker apps for iPhone users. 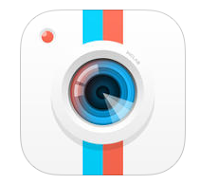 With the help of this app, you can easily record videos with fun stickers. 9. TinkyTickles - Cute Photo Sticker App ( For iPhone & iPad ) - If you love to express your feeling by using hand written stickers, this app could be the best option for your iOS device. The app contains cool photo stickers packages & frames . Useful free photo sticker that helps you add fun stickers on your photos. 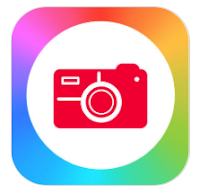 The best free photo sticker app that comes with more than 1000 stickers and frames. 10. Opak photo editor & sticker ( For iPhone & iPad ) - One of the best photo editing apps to add photo stickers to your photographs. If you want an advanced photo sticker app with filter, text and other editing options, you must install this awesome photo sticker app on your iOS device. The app contains tons of stickers with professional editing tools. 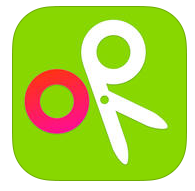 Opak photo app contains more than 500 stickers, 20 cool photo filters, text tool to add texts on your photos and 20 quick collage layouts for making photo collages. Very useful photo sticker app for iPhone users.